What are Job Search Skills? 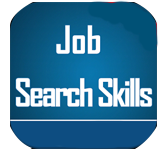 Job search skills is a technique used in finding a required job. This tutorial is all about increasing the readers competent skill and to find a job matching their qualification, experience, and interest. Preferred audiences are the professionals who are in search of a new job/opportunity as well as students who have just graduated and are seeking a suitable job. Moreover, any reader who is interested can make use of this tutorial to upscale his/her knowledge about job search skills. There are no prerequisites for this tutorial. One should have a cool and composed state of mind to understand the job search skills concept.